The first image that forms in the mind when one hears Carnival is a parade of people dressed in larger-than-life costumes promenading along the streets filled with cheering people. The Carnival at Oculus 2019, though a fashion show, was nevertheless a window to the street-celebrations. Seven teams from colleges across Mumbai competed in a bid to win the title of Les Fashionistas Ultime. The themes ranged from societal topics like ‘Gender Equality’, ‘Royal Indian Heritage’, and ‘Dark Side of the Soul’ to the more abstract topics ‘Black & White’ and ‘Dreams’. The crowd cheered as the participants walked down the runway, stopping with sensational poses. What garb would normally seem absurd in public melded perfectly with the drama of the show. Despite rich themes and unfaltering performances, there was room only for the best at the top. VIT bagged the first position, an astonishing cash prize of ₹20,000, with its theme, ‘Throne of Birds’. 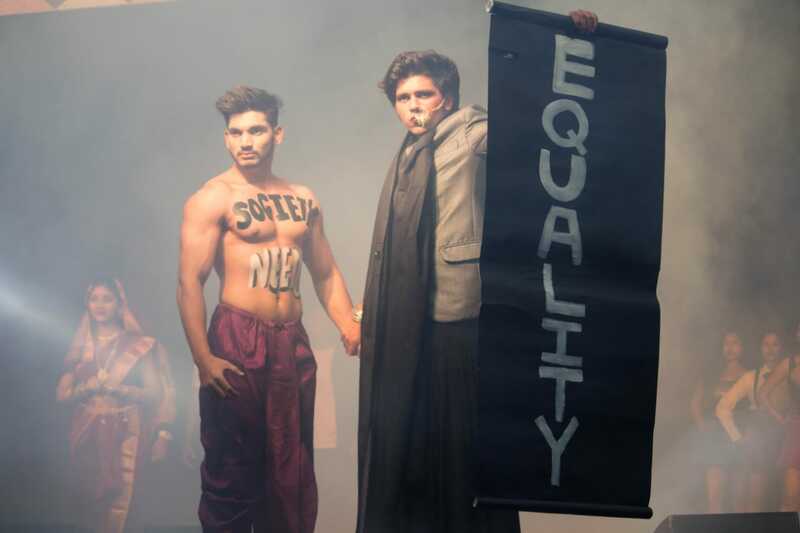 While the theme, ‘The LGBTQ Community’ showcased by Tolani College received the second prize as well as the Best Theme award. What do you get when you call seven dance crews around the city and pit them against each other in a no-rules, open-ground, battle-to-win competition? You get breathtaking performances, awestruck audiences, and a spectacular show reminiscent of a Step Up movie. The first round was a group performance, where each crew performed to the beats of the music and the claps of the crowd. This was followed by a face-off, where the teams were pit head-on against each other. The atmosphere grew tense as each performance bested the other. Two teams headed for the Finale, which was again a face-off. After jaw-dropping performances by both the teams and an ensuing suspense-filled period, the judges (The Tuttix Dance Crew) declared the ‘Fauji Crew’ as the winners, while the ‘Khadihood’ were the runners-up. With electrifying performances by the teams and an enthusiastic and cheering audience, the Street Dance competition organized this year checked all the boxes and was a thundering success. 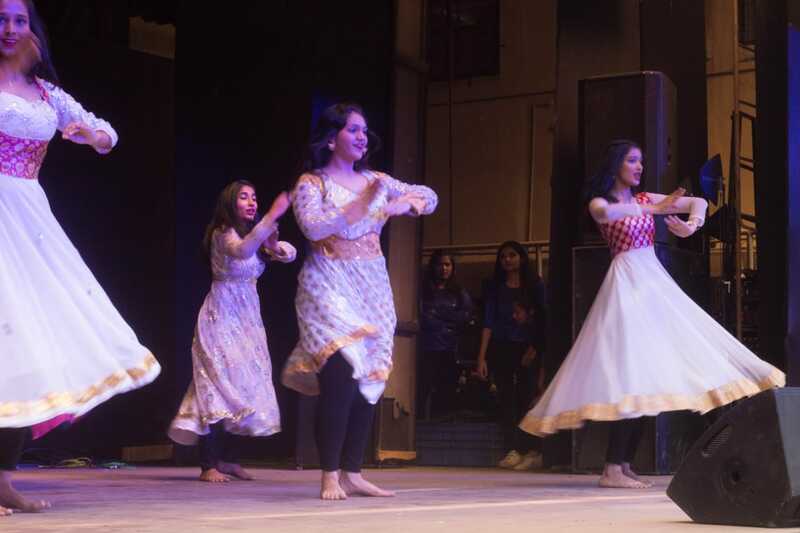 As the name suggests, Sargam was an intercollege singing competition at Oculus 2019, where the very best singers from all over Mumbai gathered to showcase their talent. There were two categories namely solo and duet. The top 12 solo and top 5 duet contestants cleared the auditions to go through to the finals. 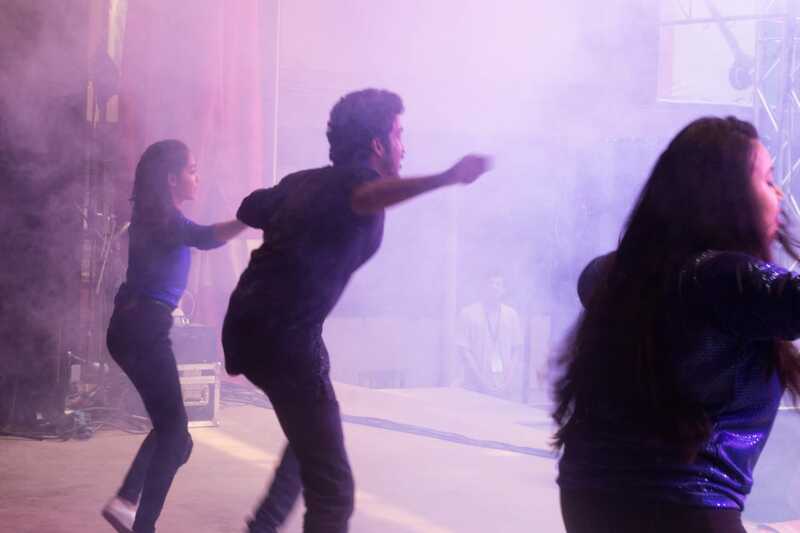 The stage for the finale was set on the evening of the 18th of January at the Quadrangle which was filled to the brim with excited students eager to glimpse what Oculus had in store for them, Sargam being the opening event. After much deliberation, the judges Rae Valentine and Bharatt-Saurabh awarded the first prize in solo to Rishabh Giri from Bhavans College whose powerful performance of ‘Bulleya’ had the audience singing along. 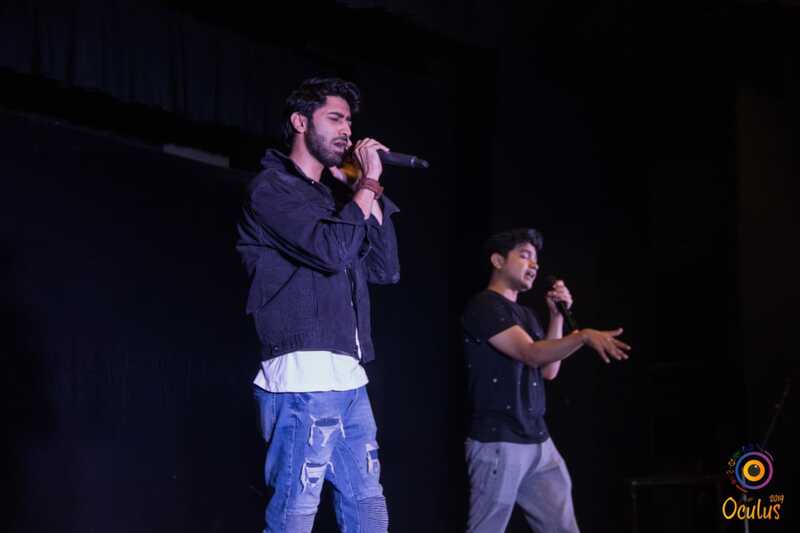 While Kaustubh Patil and Parth Ghaisas from Sathaye college bagged the first position in the duet category by singing an enthralling version of ‘Khwaja Mere Khwaja’ which touched everyone’s hearts. “Picking out the winners amongst some of the finest voices was really very tough for our esteemed judges. The melodious voices coupled with cheers from the crowd made the evening enchanting”, Pratik Pai, organizer of Sargam. One of the most anticipated events of Oculus, Aelaan-E-Jung certainly met all the expectations. Nine teams from colleges all over Mumbai came to SPIT on Sunday afternoon to show their best moves on the stage of this dance competition which took place at the Quadrangle. 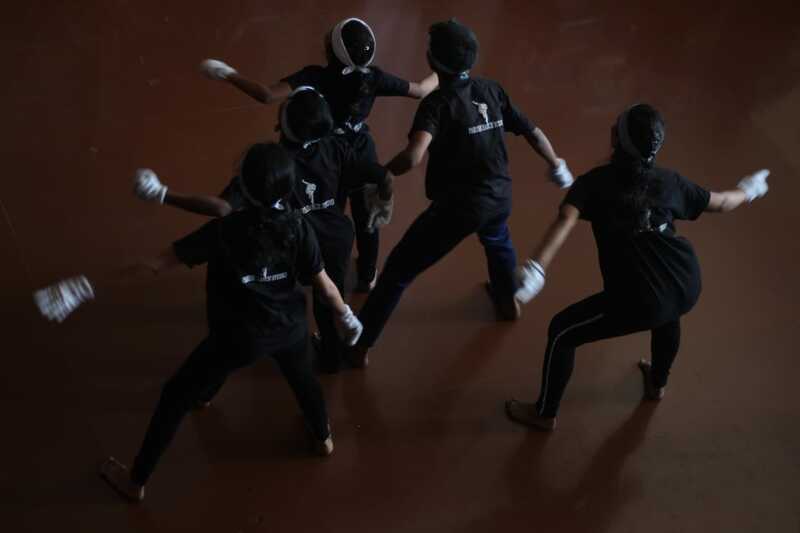 Each team came up with graceful performances which left the audience spellbound. The crowd hooted as the dancers showcased different styles of dancing, leaving people awestruck. Pooja Nayak, who was an instructor with renowned choreographer Shiamak Davar was called to judge Aelaan-E-Jung. All the teams put up a tough fight and picking the best was quite a task. But at the end, the team from V.E.S.I.T. emerged victorious. “Starting from getting teams, working day and night to get sponsors, and managing the entire event was a once in a lifetime experience. The secret behind the success of Aelaan-E-Jung was the teamwork. And I am really thankful to the fest committee for giving us this opportunity,” says Kashish Mandani, organizer of Aelaan-E-Jung.